Some might say they find the squat to be the most important exercise for building full body strength, power, practicing functional movement, and for building size. Squats are a very important part of any training program. Squatting is the primal elimination position, it is also the big jump start movement we all took as babies to stand up and walk for the first time. It is not only extremely functional but squatting heavy builds strength, size and character. I’m a fan of front squats particularly for postural reasons in addition to the fact it better targets more muscle groups than a back squat. 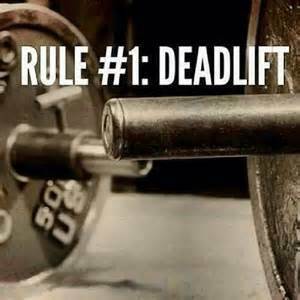 The deadlift. It’s a beautiful movement because it shows us what we’re really made of. It’s incredibly functional also as we should all learn how to lift heavy objects properly from the floor to avoid injury in real life settings. Although categorized as a lower body exercise, I love it for the engagement of the upper body too. It exercises grip strength, engaging the forearms and then requires shoulder rotator cuff assistance, accessory muscles such as the rhomboids, triceps, and requires huge back support from the traps and lats. Then consider what’s happening down below. From your toes across to your heels, then firing up the calves, hams and glutes, your entire lower body is the behind the execution, without putting pressure on your knees. This exercise will give you an extremely strong back, especially if complimented with some explosive pendlay rows. Squats and deadlifts accompanied with upper body compound movements (bench press, pull ups, rows), the right accessory exercises and a corrective exercise program make for a solid routine. Also take note that no ab exercises will engage your core in the same way that the compound lifts do. If you’re looking to build strength, increase muscle, or both, come talk to me about how to get conditioned to start a lifting program to target your specific goals. Having the right type of split and momentum is crucial when making gains. We can also coach your nutrition to unlock the magic key to success in conjunction with your goals whether that be to put on size, increase strength, lean out, etc, as well as discuss sports performance supplementation.